The Kodak SP360-4K is a 360 degree camera offering 4K video at 30fps. the SP360-4K doesn’t use any revolutionary methods to capture 360, instead of a simple twinning of two cameras back-to-back and some editing software to stitch the images together. The camera has a 12 megapixel BSI CMOS sensor, and takes 8 megapixel still images using a 360×235 degrees ultra-wide f/2.8 lens. In addition to Video and still images the SP360 as manages time lapse, high speed, loop and continuous recording functions. Utilising Wi-Fi there is no need for a large LCD screen on the camera, therefore they allowing the size to be significantly reduced. Instead the user controls the recordings with a mobile app and playback the recordings from the MicroSD card inside the camera. NFC is onboard to help with pairing the two cameras and the mobile phone. However, it took me quite some time to get them all working and even then I wasn’t quite convinced I was in control of both cameras. In addition to the mobile app there is also a remote watch. This does not have a screen and could lead to some blind photography. However, one has to remember that this is a 360 degree camera setup so you are going to have to worry so much about framing. The cameras construction is quite durable, whilst plastic there is a metallic feel from the paint and, whilst you certainly wouldn’t want to you, this would take a knock or two. The cameras do feel vulnerable as there is so much glass around the lens, fingerprints are likely. There are a couple of lens caps included however I felt they popped off far too easily. There are sealed compartments for the ports and the device is both freezeproof alongside splash resistant. This particular pack has a load of accessories, including rubber lens caps, a protective lens cover, a number of mounts and the remote control watch. Looking around the camera on one side there is a 1 inch LCD screen, this is a low powered screen used for changing the modes and settings on the fly. There’s an on/off button that doubles as a Mode button and the up button for navigating the menus. Under that is down button. There’s a large record, again a double function button, that is the OK button for selecting items in the menu. Finally, there is a Wi-Fi button next to this. On the other side is the standard tripod screw hole, however this is plastic. Under this is a cover hiding the MicroUSB, HDMI port and the MicroSD slot. On the bottom is the battery compartment. The battery is charged externally and there is only one charger, a little bit of an inconvenience if you purchase the dual pack. The battery is 1250 mAh. According to Kodak the battery is good for 160 shots or 55 minutes at the highest resolution (4K, at 30fps) video, with Wi-Fi on (required for the app to connect.) This was a little disappointing however I can’t say I actually ran out of battery at any point. There are no MicroSD cards included and given that camera records in 4K, fast cards will be required. When recording 4K videos, the camera records a maximum of a 4GB file. Without interruption another file is created. In 4K this will see around 10 minutes of footage, lower resolutions work out around 30 minutes. Kodak’s PIXPRO 360 Stitch software is free to download from Kodak’s website, and lets you manipulate your footage a little. You can change the direction and rotation the video. The rotation was a god send as I had mounted a camera upside-down. There are options for calibration and few effect settings, and finally you can export the video to YouTube. It would seem that Youtube is really the only viable option. In saying that, I found nothing but problems importing the video footage into the Stitch software. Output directly imported from the camera was apparently not compatible with the software. 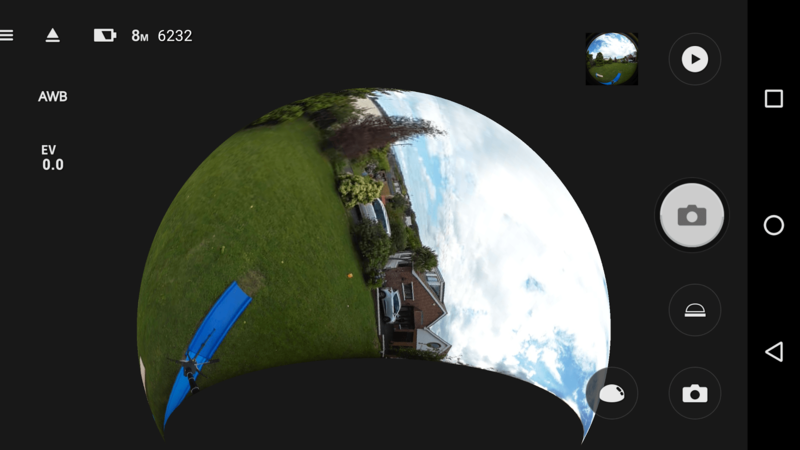 I obviously made a mistake with one of the settings when capturing, I can view the video in a localised media player however that loose some of the 360 degree aspect. From what I managed to capture the camera, I have posted some highlights below. They work quite well in a Google Cardboard. Certainly there are fragments and the whole image isn’t dazzlingly high quality, however I would say that this might be a result of the software having very little to adjust in the editing process. The biggest problem with the Kodak system itself is the mounts. Once in you will have trouble accessing the functions, battery, and SD card. You will be removing the camera from the mounts frequently and it’s just a bit of a pain. 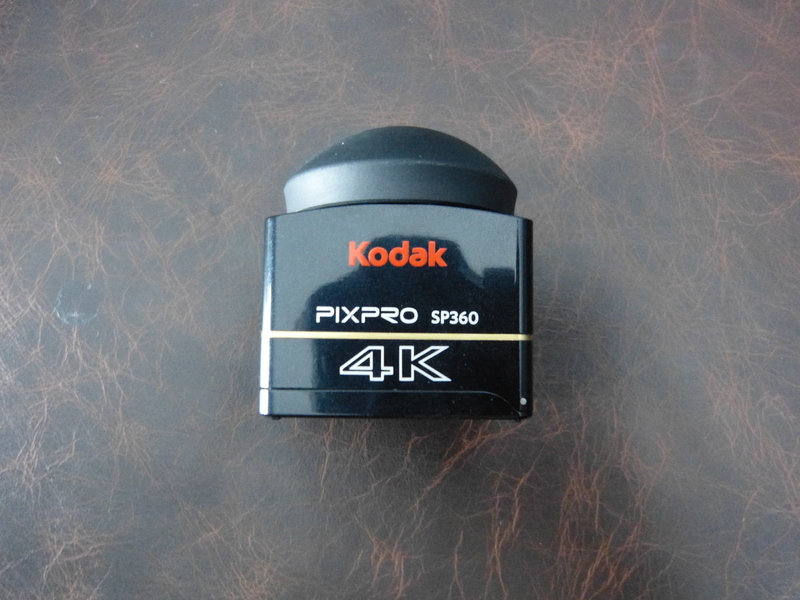 The Kodak PixPro SP360-4K is a good looking piece of kit. It’s hardly an action camera you can attach to your helmet and jump off something. It will likely appeal more to the landscape photographer who wants a camera they can leave outside in the evening without concern. The resulting images are acceptable if a little plain and flat.